Magical on winter nights, in a darkened room with the glitter slowly drifting and sparkling inside the globe. 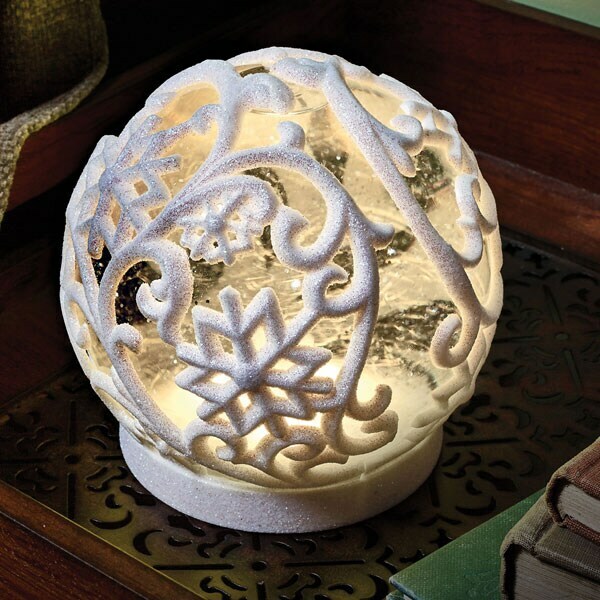 And magical during the days, with the lacy swirls-and-snowflakes overlay glistening in the sun. Glass and resin. 5" diameter. LED lights are powered by 3 AA batteries (not included). On-off switch on bottom.